25g ColorFill Tube, 20ml Solvent, 150mm Bolts. For use with laminate worktops only. 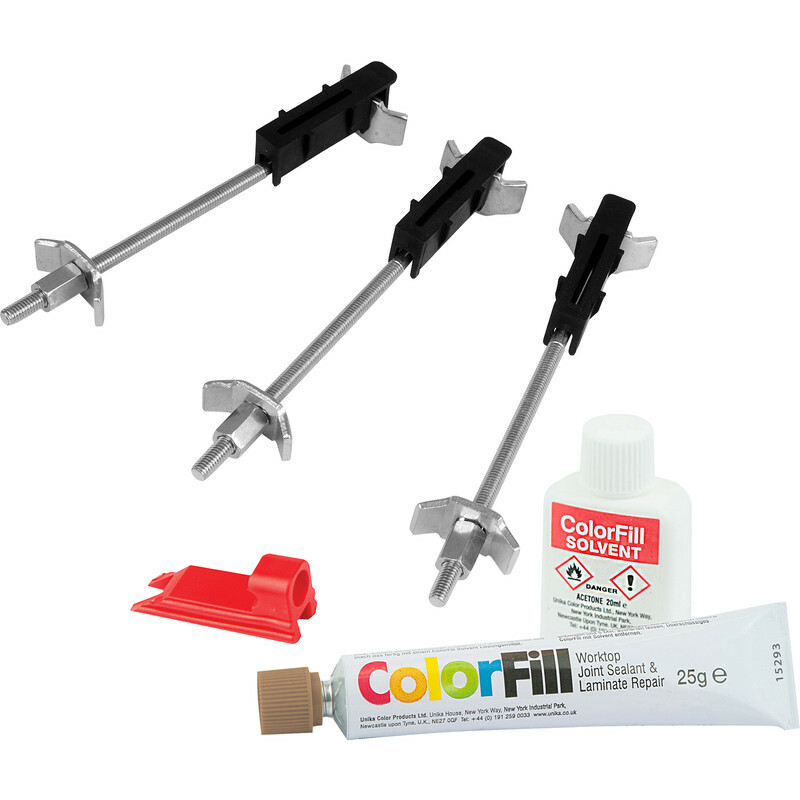 ColorFill Worktop Installation and Repair Kit Oak is rated 4.8 out of 5 by 13. Rated 5 out of 5 by BscZ from Laminate floor repair Bought this to fix a chip in oak coloured laminate flooring and worked perfectly. Only had to use a tiny amount but still worth the money. Rated 4 out of 5 by Martinc3 from Works well but practice required. This kit completed the job well but I didn't perform so well. A fiddly job and the sealant stuff goes off fast so make sure you're prepared and practiced to complete the job quickly. Rated 5 out of 5 by Big Pete from Nice little pack Good value pack. Top quality product.